Seminole Insurance Agency is connected to a variety of insurance providers, because of this we can find you the best coverage & price to fit your specific needs. In the Quoted examples below we show a few of our Insurance Carriers and how certain companies can be fitted for your specific needs. Disclaimer: These are examples for informative purposes and no person's actual information was used in creating these quotes. 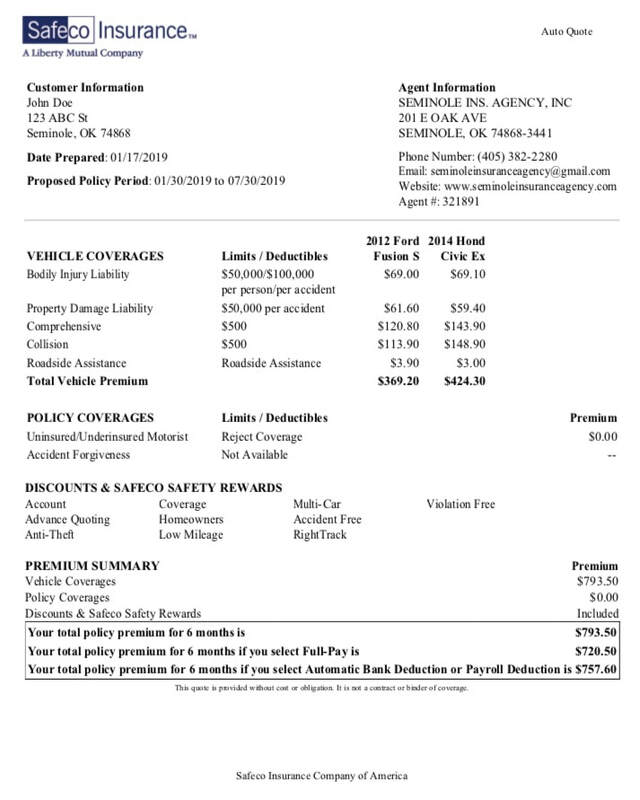 Quote ratings are affected by several factors including discounts, driver history, etc. 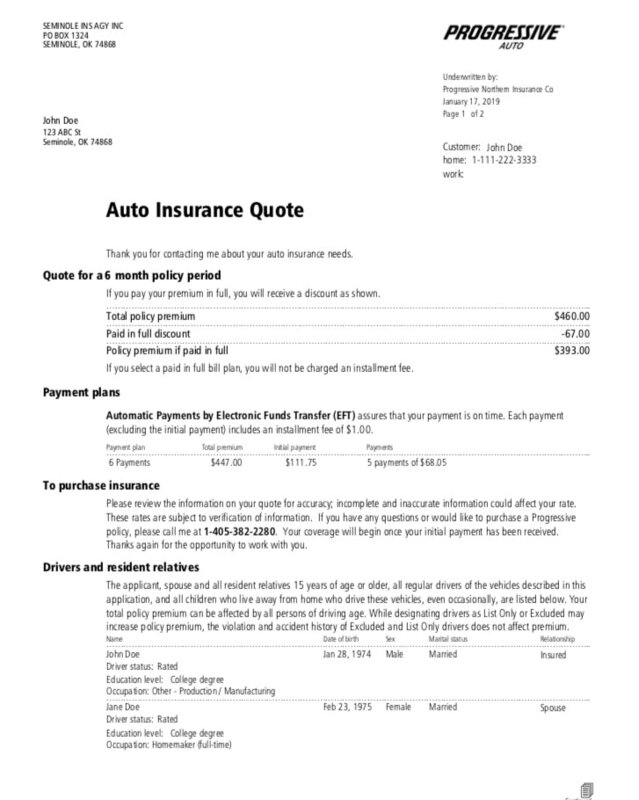 ​Safeco Auto & Home Insurance. 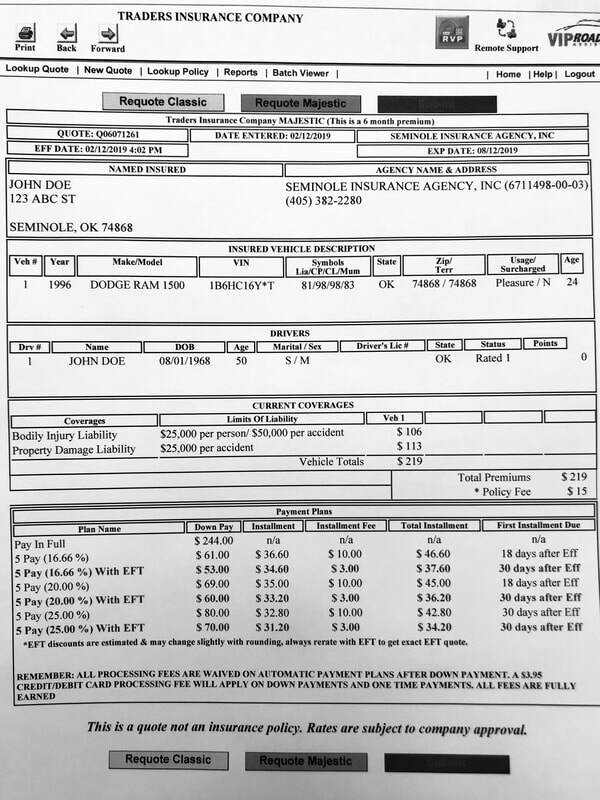 John Doe has been with the same Insurance Carrier for several years. After talking to some friends he decides to compare coverage with other Insurance Carriers to make sure he is getting the best coverage for the best price he can. 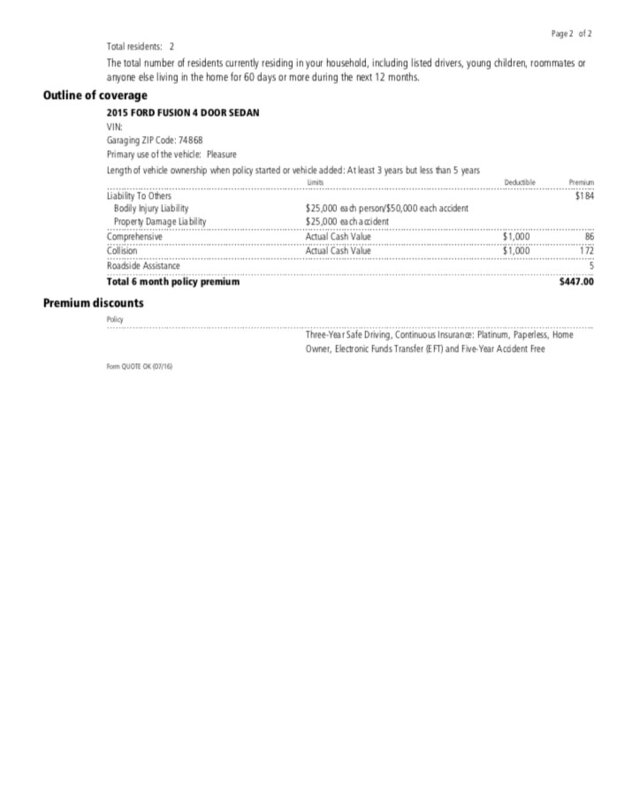 He receives a Safeco quote with higher coverage than his current carrier at an even lower price. He is also able to get better coverage at a lower price for his Homeowner's Insurance by bundling it with his Auto. Safeco offers competitive coverage for Insured's looking to have Higher Coverage at a reasonable cost especially for those with a long prior insurance history and multi-policy discounts. Traders Auto Insurance. John has been without a vehicle for several months and just purchased a used one. 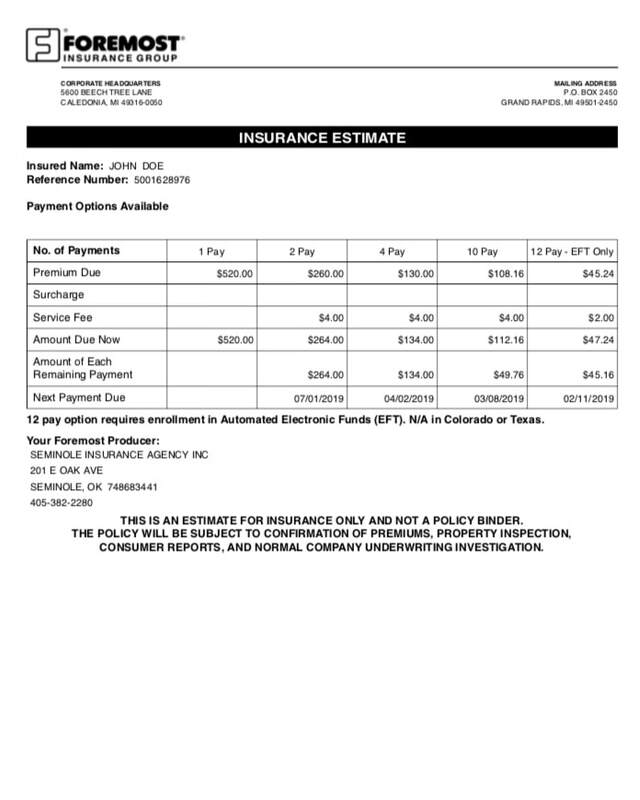 He is now looking to pay as little as possible to get the minimum insurance liability limits. 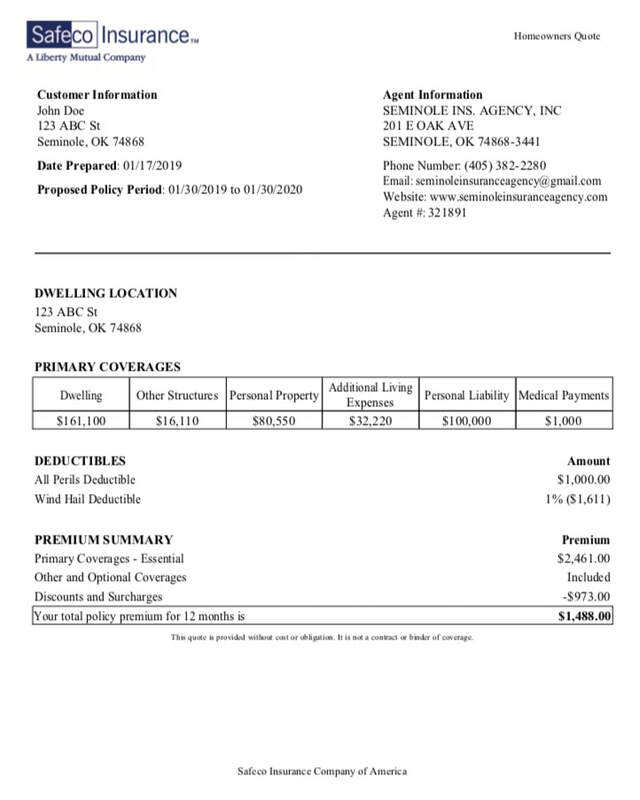 He searches for quotes but keeps getting high insurance rates due to having no prior insurance history. He gets quoted with Traders Insurance which offers competitive liability coverage for insureds looking to get the minimum insurance limits. Many companies rate higher for insureds who have no prior insurance and no other discounts. Traders Insurance offers good rates for those who may have had cancelled insurance for over 30 days or are just beginning insurance. Progressive Auto Insurance. John has been with the same carrier for several years and accidentally gets cancelled for having a 20 day lapse in coverage. To return to his current carrier they charge a high penalty fee to get back on track. John looks around other carriers to start fresh but can't find the coverage he wants for a reasonable price until he finds Progressive. Progressive insurance offers competitive rates for insureds who have had prior insurance with higher coverage or may have had a lapse or cancellation less than 30 days as well as competitive full coverage and multiple discounts. 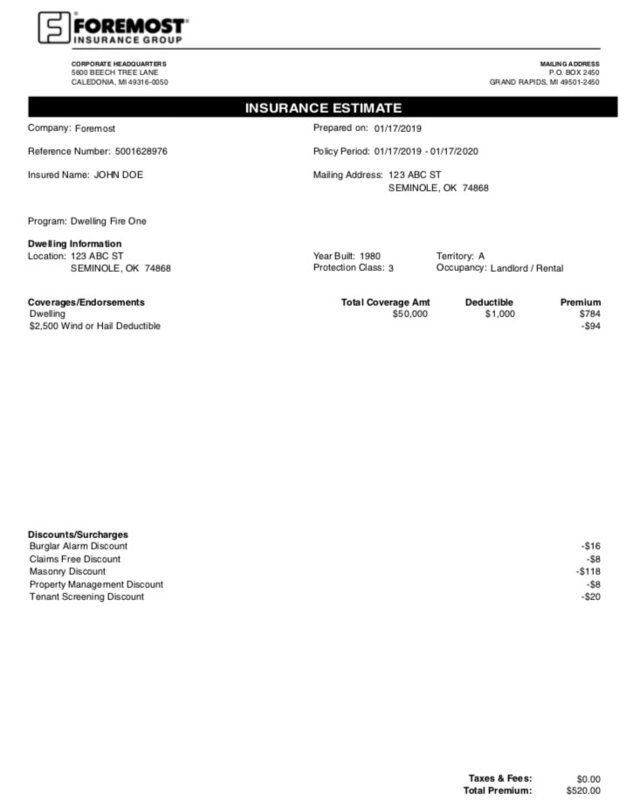 Foremost Home Insurance. John owns a rental property and wants to get insurance to cover the value of the house but needs it to be inexpensive to maximize his profit. Foremost Insurance offers competitive rates for landlord/rental properties and Dwelling Home policies to cover the minimum on Homes for a low price without comprising coverage. Foremost also offers great discounts for multiple properties and can even bundle them into one policy.